Slime has taken over the world. Have you seen? Stores are running out of glue and preteens everywhere are getting their hands messy with the ooze. You can find it on instagram, youtube, facebook live, even stores are sending out slime guides. It is everywhere. 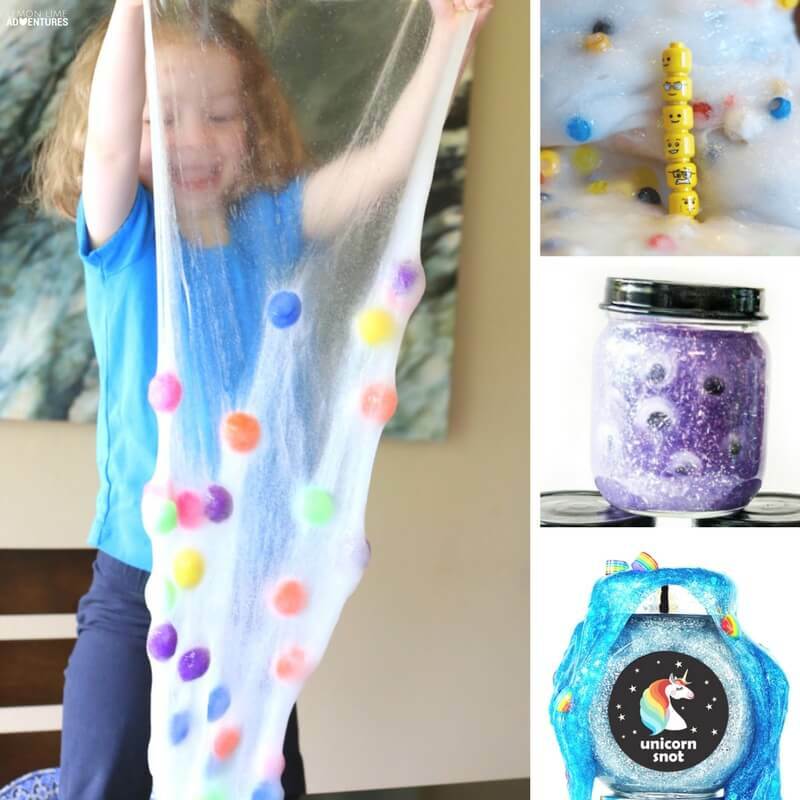 It doesn’t matter if you have been scared to death to try slime or you have never known where to start or you are just looking for a resource you can pin so you can have a list of everything you need to make slime in one place… this is your spot. 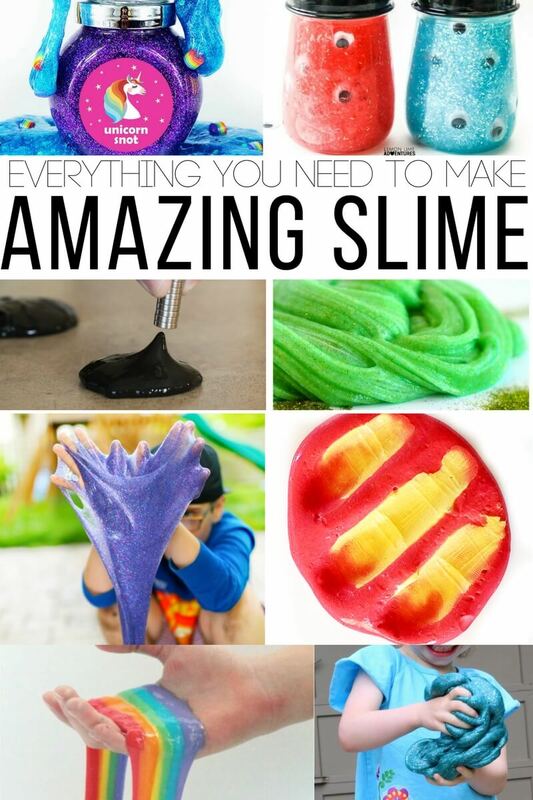 I have taken all my love for slime and gathered an extensive list of everything you need to make slime. All kinds of slime. Here is the part that makes it fail proof… pour your glue into a mixing bowl and then fill your glue bottle again with water (1/2 cup usually does the trick). Pour this into your glue and mix until it is nice and mixed. Next (THIS PART IS IMPORTANT)… slowly add your liquid starch to your glue mixture as you mix until it starts to pull away from the sides of the bowl and makes a clump. Knead with your hands until your slime is perfect. 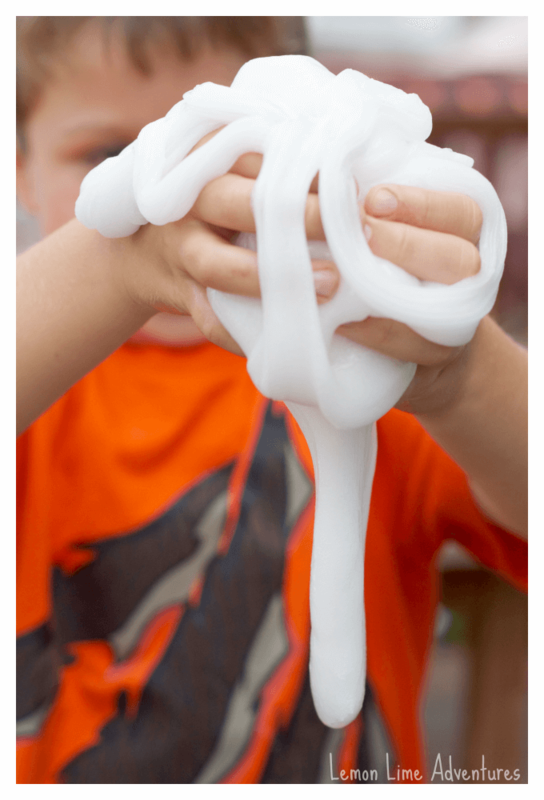 If your slime is too sticky, add more liquid starch. If your slime is too liquidy, add more glue. You really can’t go wrong. 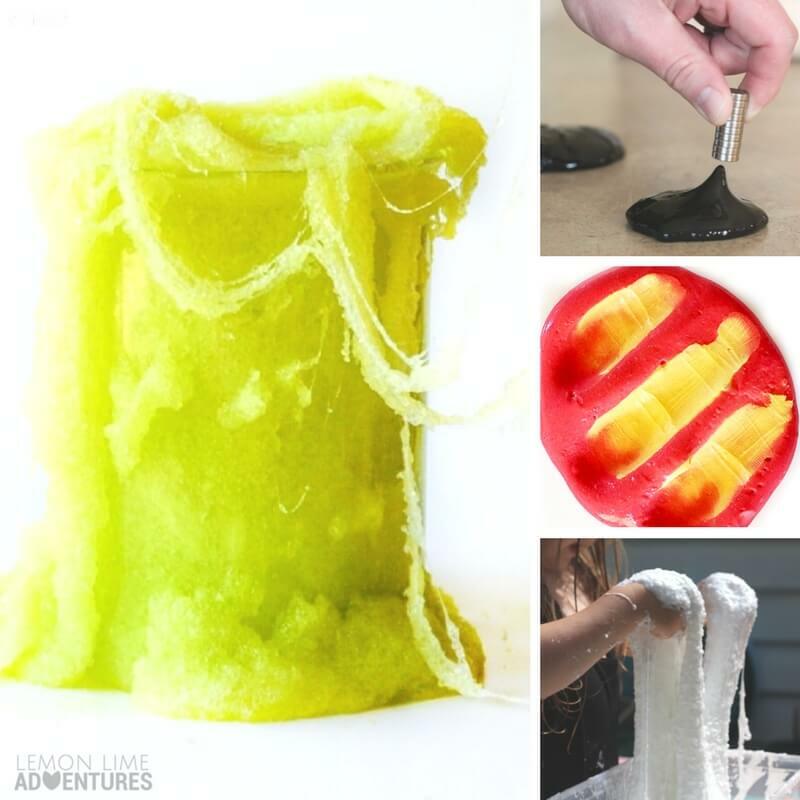 Now, this wouldn’t be much of a resource with just one type of slime and one simple recipe. No way. So let’s dig in. I will divide this up by all the “types” of slime to get you started. Some of the most simple recipes can be made using borax or liquid starch. Here are a few recipes to get you started. 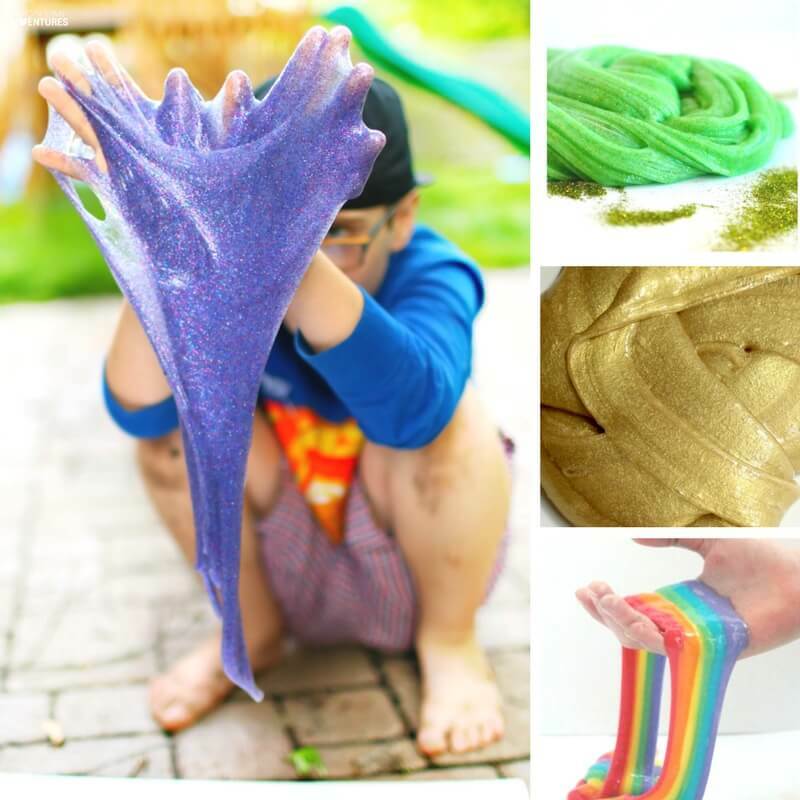 Some slime recipes are simply made by adding in a little bit of color, a little bit of glitter and even toys. Here are some of our favorites to get you started. The list is literally endless with things you want to add. Think of a theme and get to adding. Remember, when you add things to the slime, it will change the elasticity of the slime and you might need to adjust the recipe just a tad. Now, this is where things get a little fun. 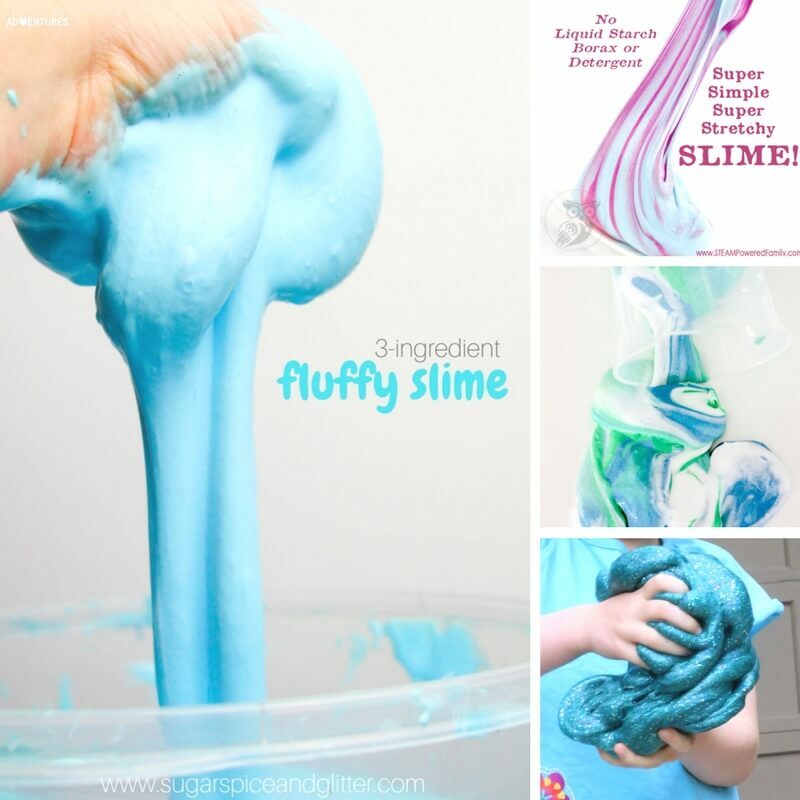 You can actually make slime with things that are NOT glue and borax. Here are a few of our favorite recipes so you can make the perfect slime. For lots of different reason, many people need recipes that don’t include borax or liquid starch. They need it because of location or because they don’t want to use those materials. Here are some of our favorite recipes that don’t include borax or liquid starch. Finally, there are just some slimes that have crazy and unique ingredients that are worth trying at least once. We have tried most of these and you have to check out our favorites. Phew… that was a lot of work, but I know you will thank me later for having everything in one place. 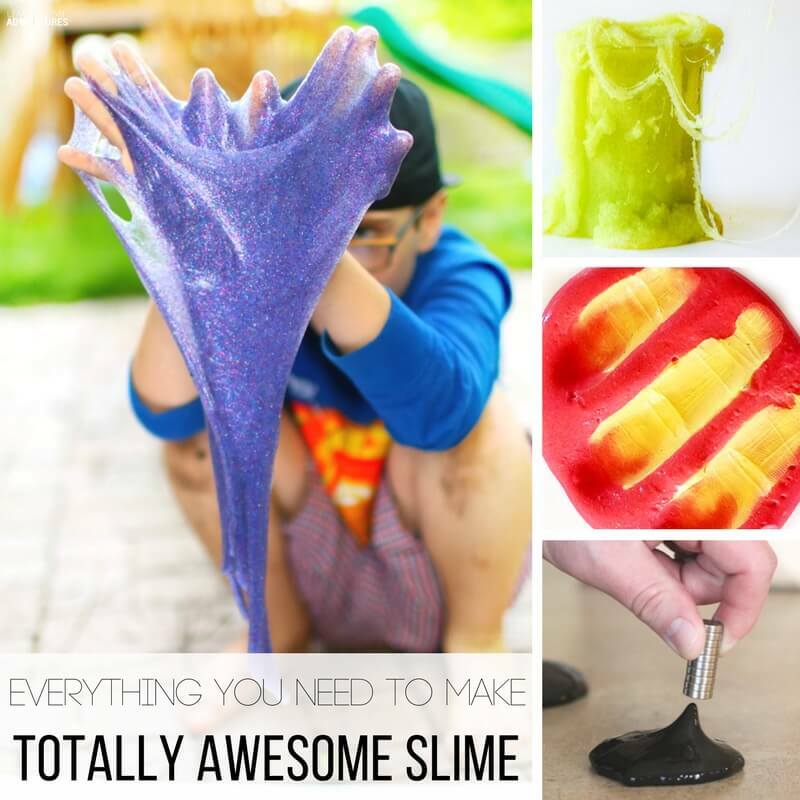 There are so many amazing slime recipes out there and awesome slime ideas that I’ve decided to start a pinterest board and a facebook page just for slime. 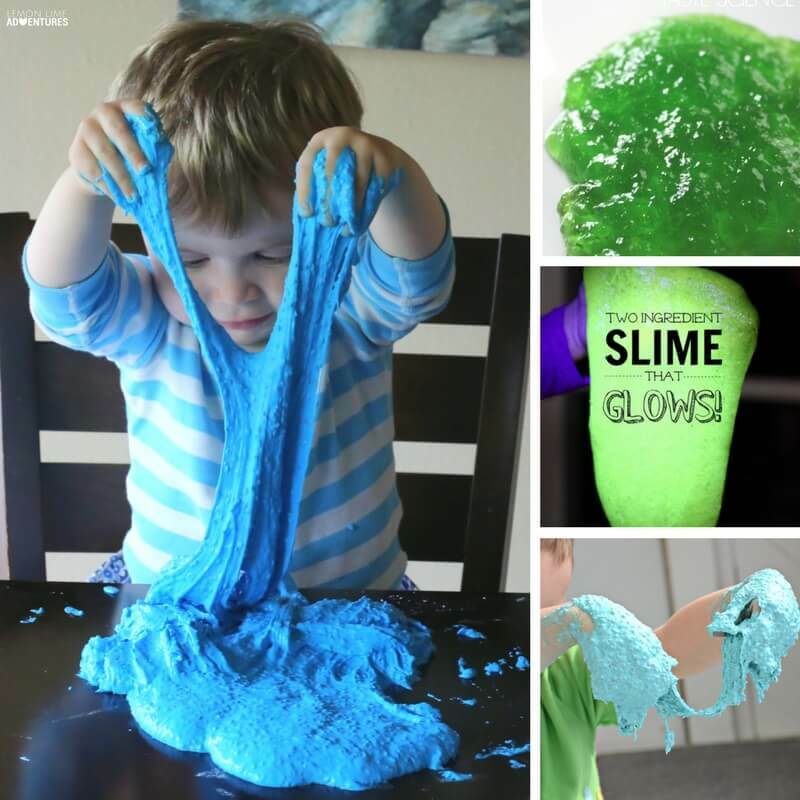 If you have an awesome slime you’ve tried be sure to hop over and share so we can share with the world!